On a remote Scottish island, American antiques dealer Kate Hamilton wrestles with her own past while sleuthing a brutal killing, staged to recreate a two-hundred-year-old unsolved murder. Autumn has come and gone on Scotland’s Isle of Glenroth, and the islanders gather for the Tartan Ball, the annual end-of-tourist-season gala. Spirits are high. A recently published novel about island history has brought hordes of tourists to the small Hebridean resort community. On the guest list is American antiques dealer Kate Hamilton. Kate returns reluctantly to the island where her husband died, determined to repair her relationship with his sister, proprietor of the island’s luxe country house hotel, famous for its connection with Bonnie Prince Charlie. Kate has hardly unpacked when the next morning a body is found, murdered in a reenactment of an infamous unsolved murder described in the novel—and the only clue to the killer’s identity lies in a curiously embellished antique casket. 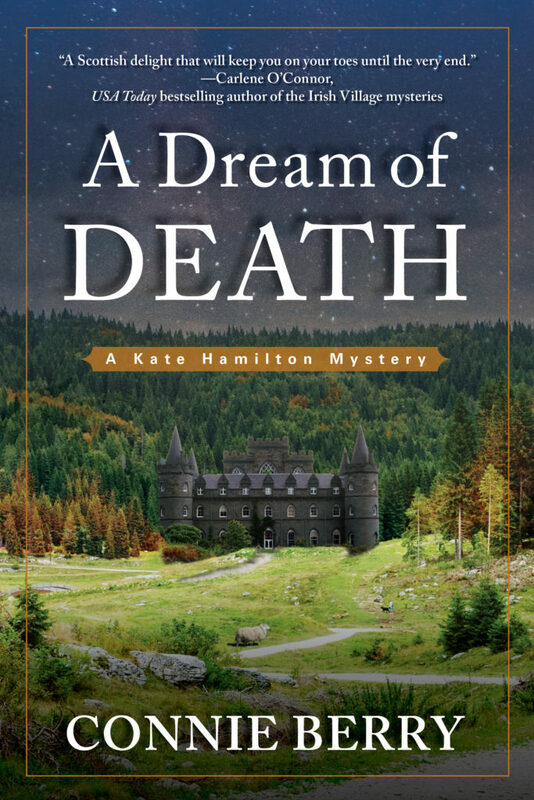 The Scottish police discount the historical connection, but when a much-loved local handyman is arrested, Kate teams up with a vacationing detective inspector from Suffolk, England, to unmask a killer determined to rewrite island history—and Kate’s future. I’ve written stories as long as I can remember—the earliest ones just a paragraph or two, printed on colored paper; the later ones written in loopy cursive and divided into chapters with illustrations. Interestingly, most of the stories I wrote in childhood involve a mystery to be solved or a secret to be uncovered. I know this because my mother was a world-class saver. When I married and moved into my first house, she presented me with several boxes, filled to the brim with photos, stories, art work, school projects, and letters home from camp and college. In school, writing was a strength. We tend to like what we’re good at, right? Later, reading the classics of literature, I learned to love beautiful words, razor-sharp wit, and the lovely rhythm of the English language. As an adult, I wrote non-fiction first—critical essays on English literature; articles on whole foods for a local newsletter; a feature for a scholarly journal about a Civil War soldier from Vermont; a blog, mostly about travel; lectures on theology. I also wrote and edited for business and for other writers. When I ventured into fiction-writing, I chose to write what I love to read—traditional mysteries set in the UK. The Kate Hamilton Mystery Series features American antiques dealer Kate Hamilton and Detective Inspector Tom Mallory of the Suffolk Constabulary. What drew you to writing this specific genre? I was hooked the moment I discovered the Nancy Drew mysteries. From there I went on to devour the classics of the genre—Agatha Christie, G. K. Chesterton, Ngaio Marsh, Cyril Hare, Dorothy Sayers, P.D. James, Georges Simenon—all the Golden Agers. Not that I don’t read outside the genre. I love the classics of literature. I love a great story. But a well-written mystery is what I reach for first every time. I began writing my debut mystery, A Dream of Death, ten years ago as a hobby and only in the summer months when I had time off from teaching. 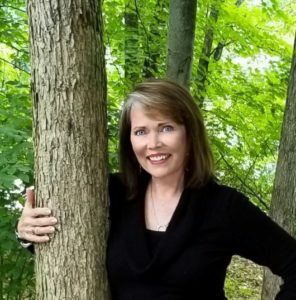 During those ten years, I also joined Sisters in Crime and began attending writing conferences and workshops, learning the techniques of the craft. When I retired from teaching two-and-half years ago, I vowed to wrestle my rambling blob of a manuscript into publishable form. Or die trying. This required a full year of slashing and burning, ruthlessly cutting and reshaping the story structure until, at last, I’d done everything I knew how to do. A year ago at Sleuthfest, a wonderful writers’ conference in Florida, I met Faith Black Ross, a fellow Anglophile and my editor at Crooked Lane Books. She liked my writing and offered me a two-book contract. Book One, A Dream of Death, was published this month. Book Two, A Legacy of Murder, will be published in October of 2019. Book Three is underway. Mostly, I hope my readers will be entertained. Of course I want to keep them guessing until the end. And I hope they like Kate, my protagonist, and enjoy a few hours of armchair travel to the UK. History, the past, plays a role in everything I write; and since Kate is an antiques dealer, I hope readers will learn about the world I grew up in—the world of fine antiques. Staring at a blank page on the computer screen. Putting thoughts into words takes courage and discipline because I adore good writing, and first drafts (mine anyway) are crap. I agree with Judy Blume, who famously said, “I hate first drafts, and it never gets easier. People always wonder what kind of superhero power they’d like to have. I want the ability for someone to just open up my brain and take out the entire first draft and lay it down in front of me, so I can just focus on the second, third and fourth drafts.” Writing from scratch is so difficult that I’ve developed a habit of beginning each writing session by revising the last chapter I wrote. That eases me back into the story and gives me the incentive to keep writing. Revision! I love revising, refining, rewriting. Give me raw material to work with, and I’m in my element—finding the perfect word rather than settling for the adequate one; sharpening dialogue; strengthening character; polishing language until it shines. I could literally revise forever. I’ve often said—half joking—that I’ll probably follow readers home from the bookstore with a red pencil in my hand. Read widely and take the time to learn craft—especially story structure. Knowing how to put words into sentences and paragraphs is good, but it’s not enough. Learn how to tell a story. Learn what modern readers are looking for. Connect with other writers. Join a writers’ group. Promote the work of others and celebrate their successes. Mysteries—mostly traditional and police procedurals set in the UK. At the moment, my favorite authors include Tana French, Susan Hill, Ann Cleeves, Charles Todd, Elly Griffiths, Deborah Crombie, Louise Penny, Ruth Ware, J.K. Rowling (Robert Galbraith), Anthony Horowitz, and Charles Finch. I love to travel! In college I studied at the University of Freiburg in Germany and St. Clare’s College, in Oxford, England. Those experiences gave me a life-long love for foreign adventures—along with a dangerous smattering of German, Spanish, and Italian. I’ve visited more than twenty-five countries in western and eastern Europe, Scandinavia, Russia, China, North Africa, and the Middle East. My favorite travel experiences involve finding myself in some remote spot where English isn’t spoken (scarce these days) and having to find a common language. I long to visit more of Africa, India, Japan, and Australia. I really want to stay in an ice hotel in Norway sometime. All I have to do is talk my husband into coming along. Like her main character, Connie Berry was raised by charmingly eccentric antique collectors who opened a shop, not because they wanted to sell antiques but because they needed a plausible excuse to keep buying them. Connie adores history, off-season foreign travel, cute animals, and all things British. She lives in Ohio with her husband and adorable Shih Tzu, Millie.